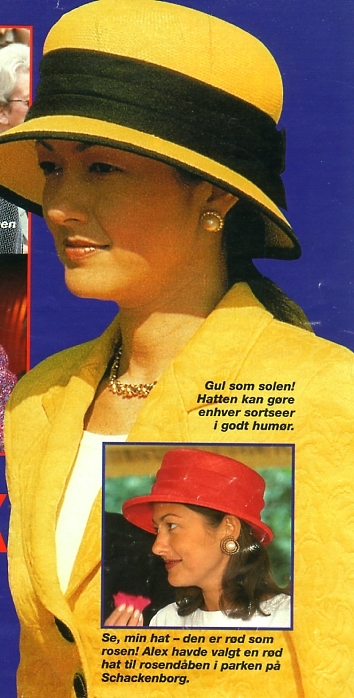 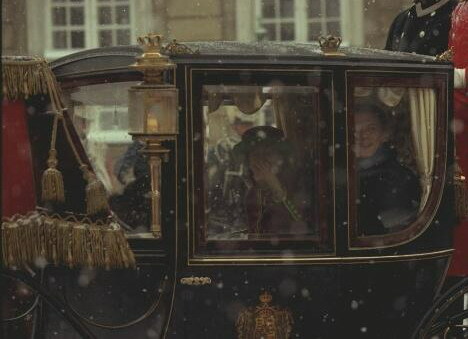 This Danish Designer Celli Freifeldt has made a few things for former Princess Alexandra . 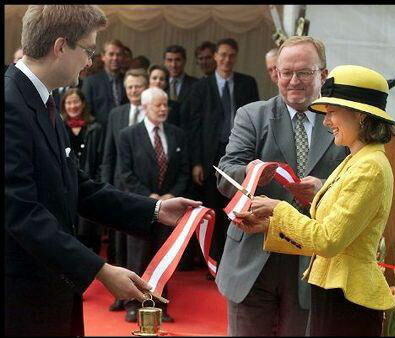 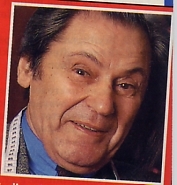 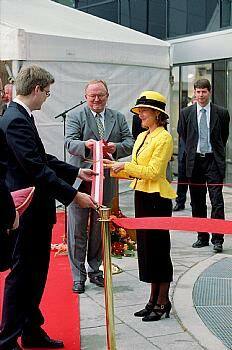 The first suit he made for her was first worn at the Town Hall November 17 1995. 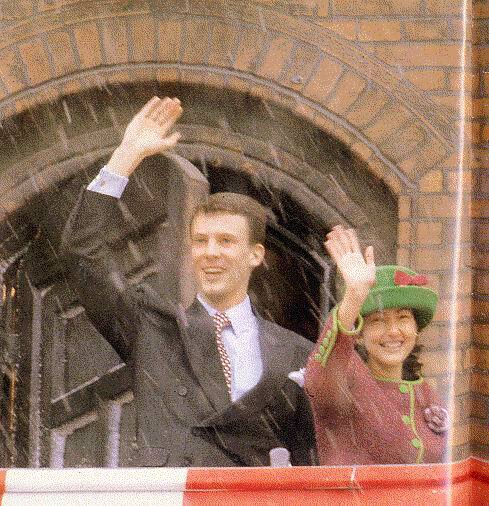 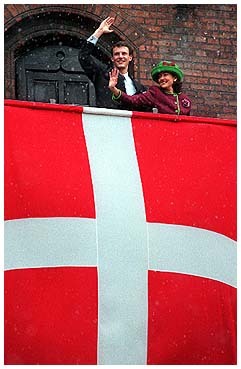 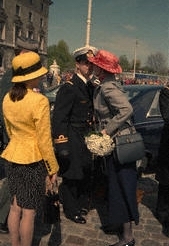 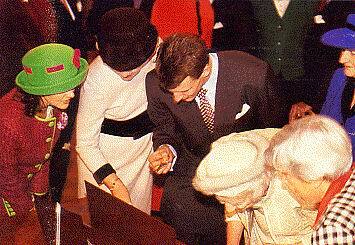 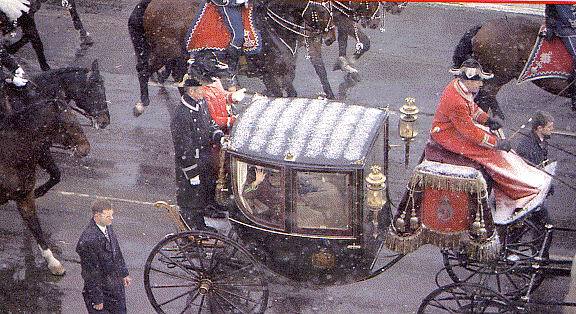 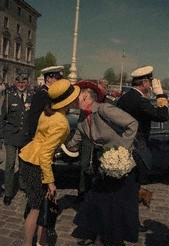 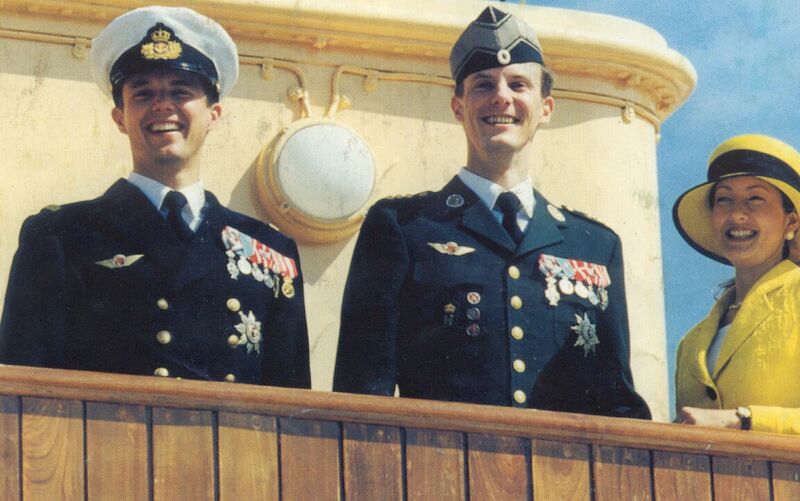 On November 17 1995 Princess Alexandra and Prince Joachim arrived at the town hall. 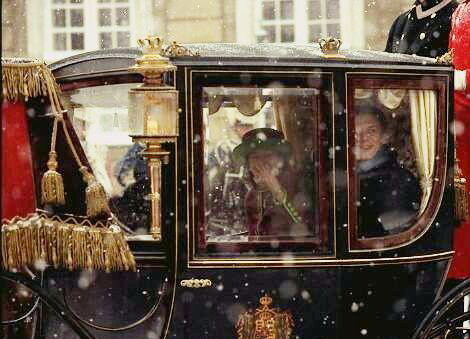 It was a winter wonderland. 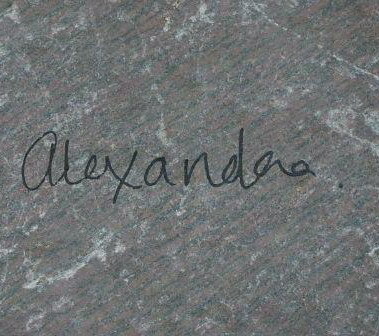 In the Blue box it say : Alexandra In A New Suit , " We looked at many fabric's before she decided " said Designer Celli Freifeldt. 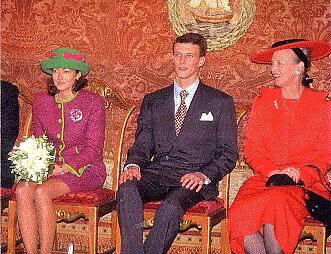 the jacket . 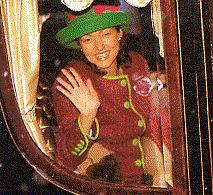 The hat green with red ribbon. 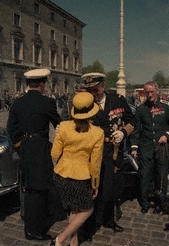 turned up in a yellow suit, that she had put together with a yellow jacket and black dress.